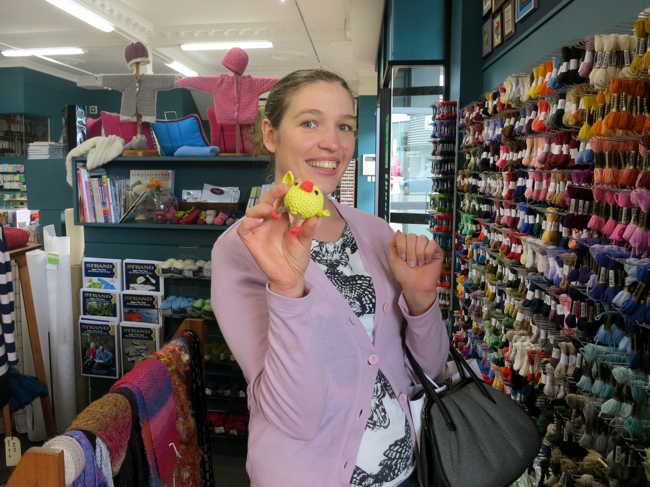 For the past few months I’ve been part of the Wellington Sewing Bloggers group. 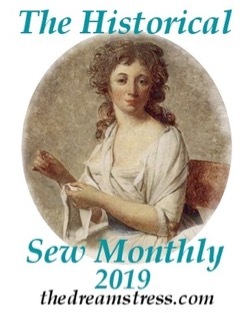 I don’t do most of their challenges, because when they make patterns they have names like Tiramisu and Renfrew, and when I make patterns they have names like Excella and Anne Adams. They are wonderful women though, and one challenge/get together I was definitely in for (well, I had to be, it was my idea!) was a Craft Crawl of Wellington’s sewing and crafty goodness, using the wonderful Craft & Textile Lover’s Guide to Wellington that Maryanne of Made on Marion designed as a guide. A Craft Crawl is like a pub crawl but way prettier, in every possible way, and just as with a pub crawl, we crossed off the locations on the map as we did them. 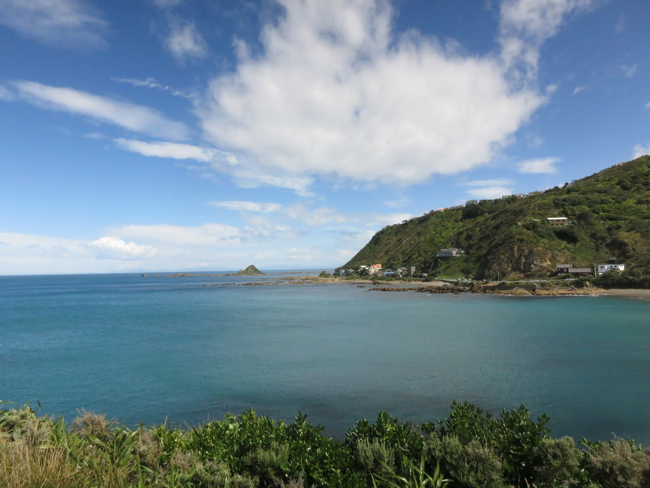 On this Saturday we concentrated on the outer-suburb craft locations. 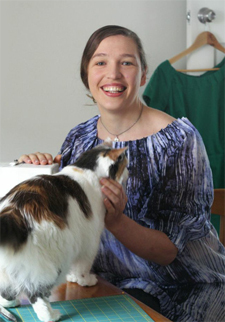 There are actually over 20 Wellington Sewing Bloggers, but it was just Zara of Off-Grid Chic (who has a sewing cat almost as delightful as Felicity, and makes amazing detailed garments), MaryLouise of Thanks, I Made This Myself (who is teaching herself how to sew this year, and doing an awesome job of it) and I on the Craft Crawl. 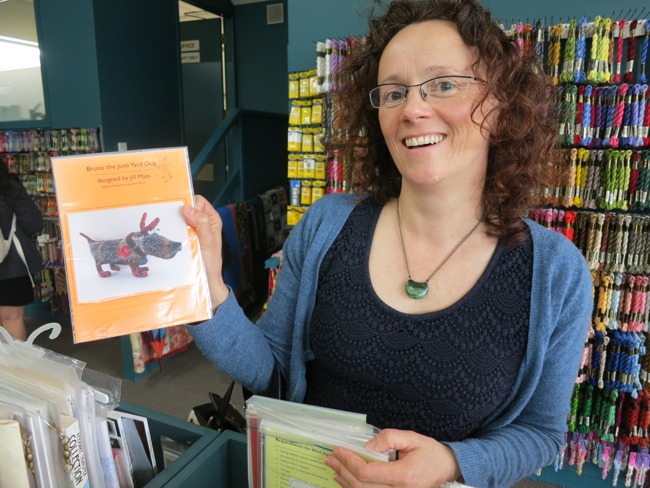 Stop #1: #17 on The Craft and Textile Lovers Guide to Wellington: Wellington Sewing Services in Kilbirnie Plaza. 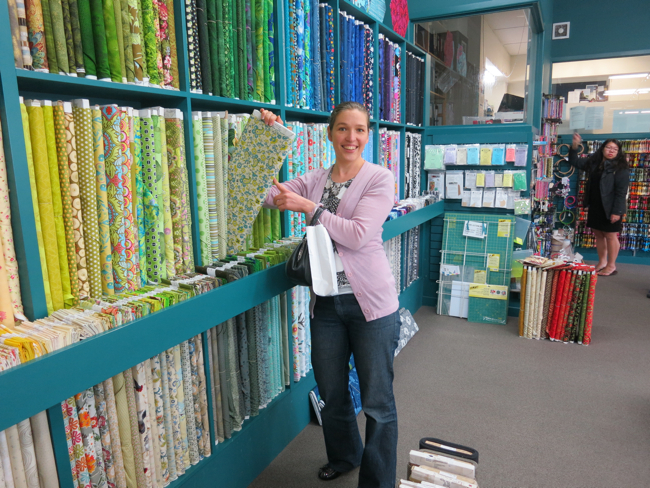 We started out the day at Wellington Sewing Services, the best place in Wellington to buy a sewing machine or get one serviced, plus they have tons of quilting fabrics and yarns and ribbons and buttons all your sewing basics. 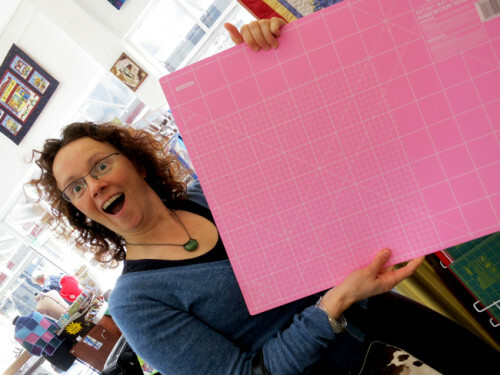 Zara discovered that cutting mats come in PINK (and this one was reversible – cm on one side, inches on the other, which is super helpful when you sew in NZ) AND they don’t even charge extra for it being a ‘girl’ colour. 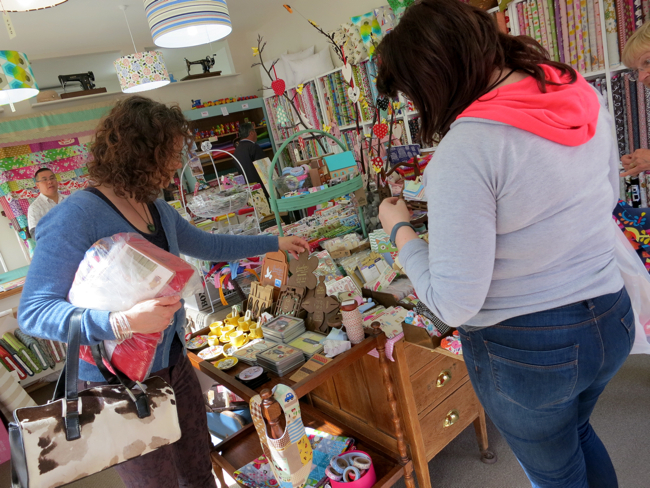 Zara bought some thread, MaryLouise bought the cutest buttons ever (ceramic cats and sheep and hedgehogs made in South Africa) and an iron protector. 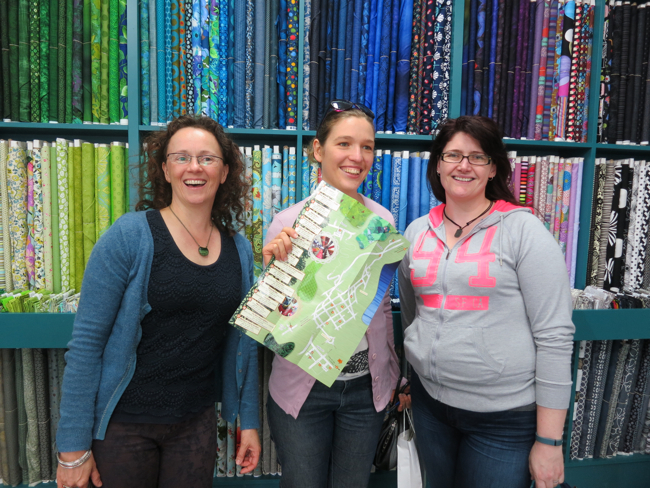 Stop #2: #14 on The Craft and Textile Lovers Guide to Wellington: Stitchbird Fabrics. 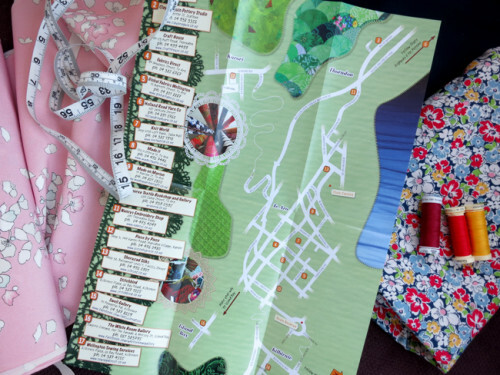 MaryLouise bought some gift labels, and we resolved to have a WSB challenge that centred around Stitchbird fabrics, so that we would have an excuse to go treat ourselves to the amazing wares. I love the Asia Gallery, but MaryLouise and Zara had never been there before. 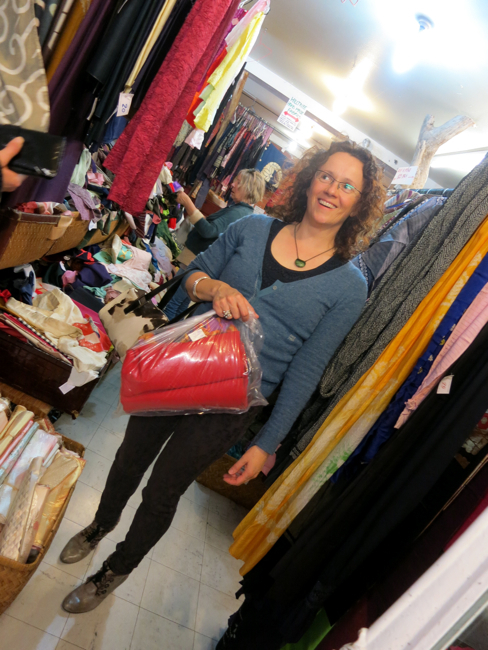 MaryLouise found the thing: a child’s kimono, with a photograph of the child in it attached. We all got super excited and bought a ton of fabulous fabrics. Zara pretty much bought a capsule wardrobe in kimono fabrics. 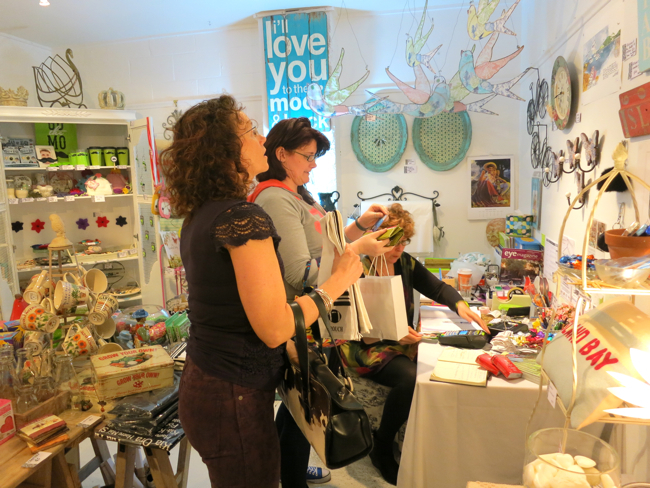 Stop #4: #16 on The Craft and Textile Lovers Guide to Wellington: The White Room Gallery at the Empire Cinema. 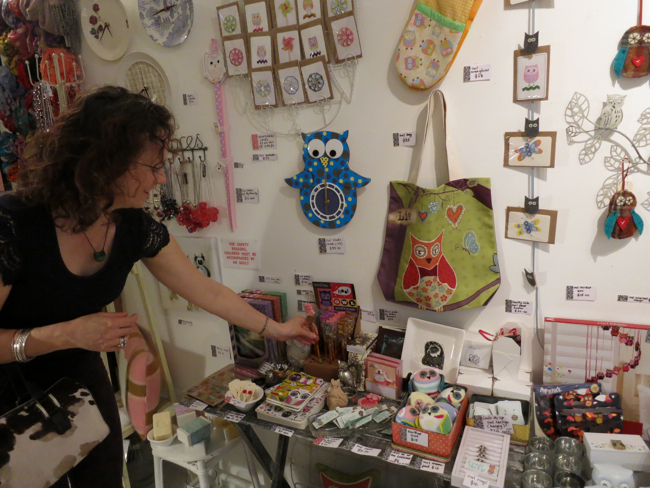 The White Room, located in the Empire Cinema, means that you can sample crafty gorgeousness before or after your film. 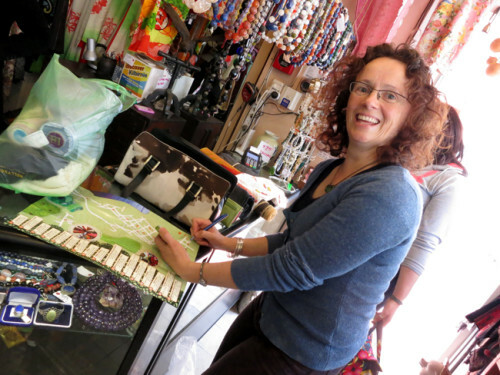 It’s more of a shop for already-made crafts, rather than materials, so perfect for birthday and holiday gifts. 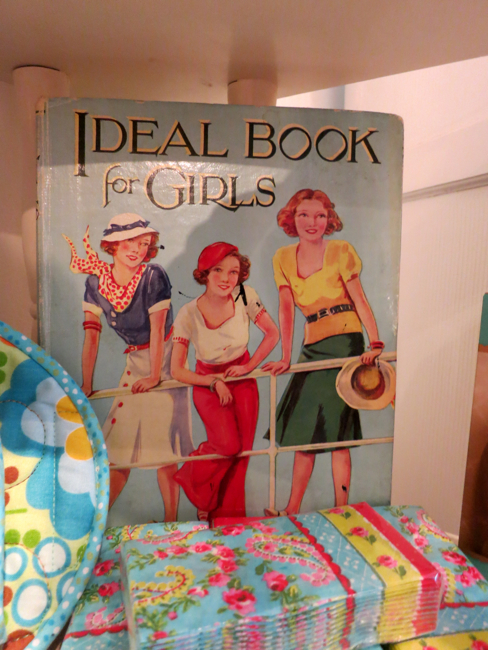 To jewellery and mobiles and cut glass and tins and pretty tea towels and napkins and a fabulous vintage book which (sadly) was not for sale. I bought lip butter and a little sewing-themed tin to store my needles and scissors in when I travel (it’s so cute!). 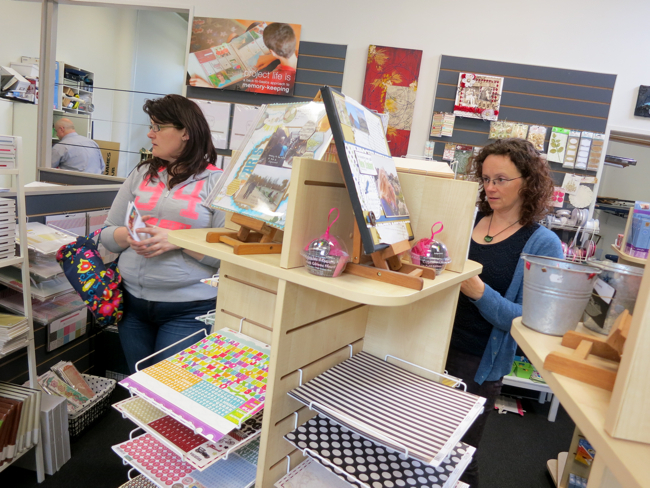 Stop #5: #12 on The Craft and Textile Lovers Guide to Wellington: Piece by Piece Quilting Store. Of course, you don’t have to use this stuff for quilting. I discovered that Piece by Piece carries vintage reproduction fabrics. Swoon! There was so much goodness that we decided we couldn’t limit the ’boutique fabrics’ challenge to Stitchbird, so it will now include Piece by Piece and Nancys and Made on Marion on the list! 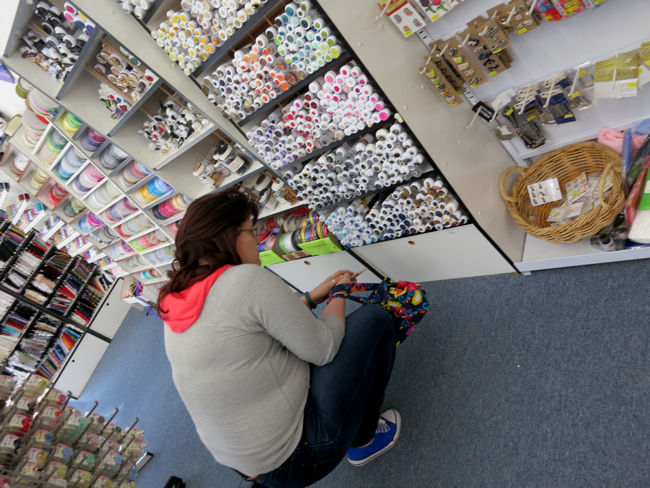 I bought silk thread (a new kind, which I haven’t tried) and Zara bought Piecemakers needles, and WE WILL BE BACK. 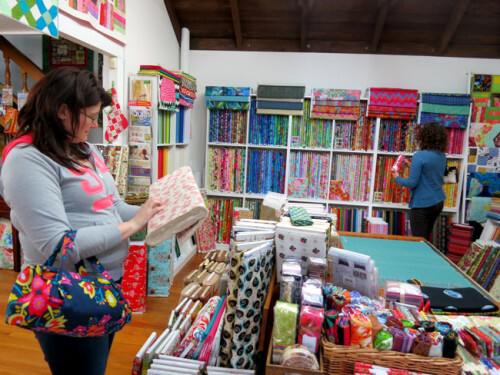 Stop #6: #3 on The Craft and Textile Lovers Guide to Wellington: The Craft House. The Craft House sells stuff for papercrafts and scrapbooking. A long time ago, I actually did scrapbooking, and still have some of the supplies. I haven’t touched it in ages, but I mean to pick it up again to document my dresses: I think that a page with images of the finished dress, and scraps of fabric from it, and the notions, is the best way to keep a record of them. 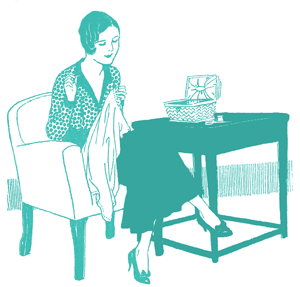 It will be like Barbara Johnsons album, but for my sewing! I picked up some of the label holders that you attach to drawers and boxes so that you can keep a record of what is in them. Stop #7: #11 on The Craft and Textile Lovers Guide to Wellington: Nancy’s Embroidery Shop. 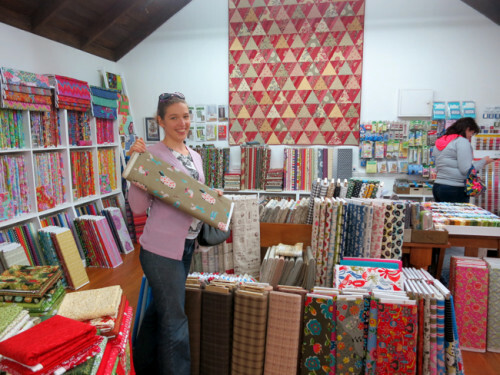 In addition to materials for every possible kind of embroidery, Nancys sells Bernina sewing machines, and yarn, and yet more gorgeous quilting fabric. 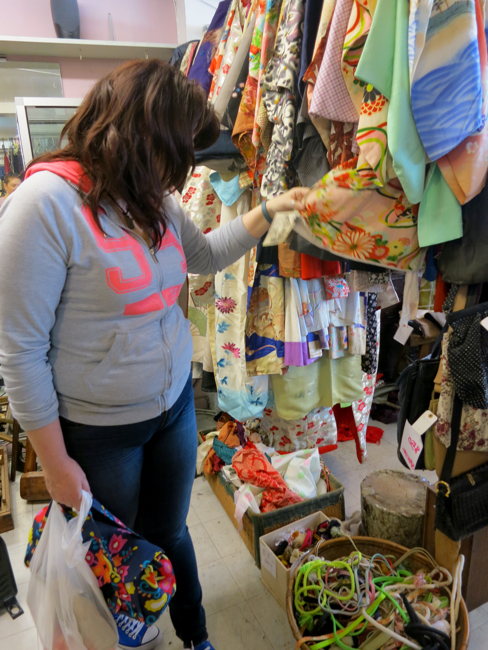 Next Craft Crawl we’re hitting all the inner city shops! I’m so in for the inner city crawl! Looks like you all had a wonderful time! This is almost as good as being there. Only almost, though! What a wonderful day! Love the photos – Zara’s meltdown moment is classic. Actually the meltdown was more like a permanent state while we were at Asia Gallery rather than just a moment. 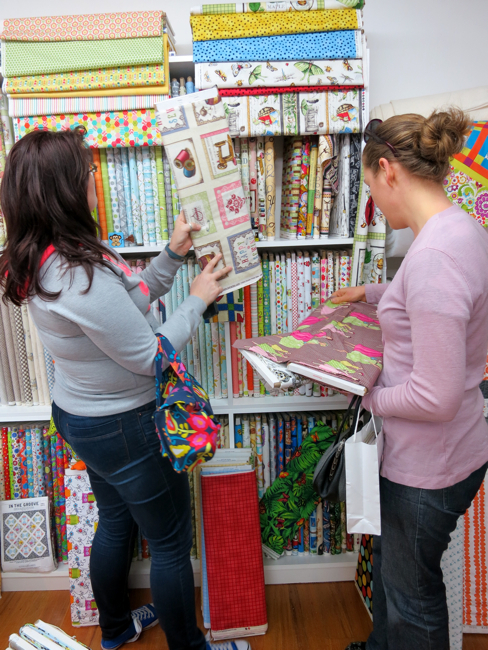 It looks like great fun and makes me envious and miss all the craft shops that are now no more here in Christchurch. I feel so terrible for Christchurch. I know Global was one of the first shops to be bulldozed. 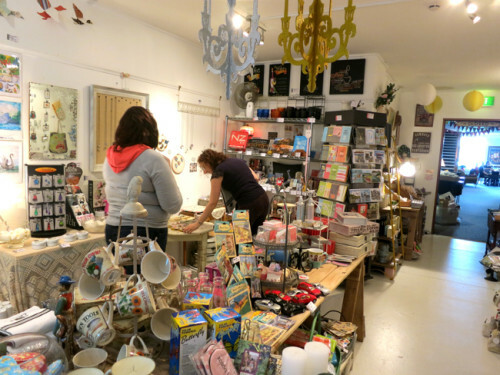 The recent shakes in Wellington have really shown us how scary they are, and how devastating even a small shake can be for a small business. I hope the craft shops come back to Christchurch, and in the meantime, come and see us in Welly and we’ll take you craft crawling! I wish my town here in Florida had more craft stores… we only have two or three, counting WALMART. Joann’s doesn’t count because the closest one is half an hour away. I’m behind on my blogfeed again, so I’m just reading this now. And I am SO. JEALOUS. 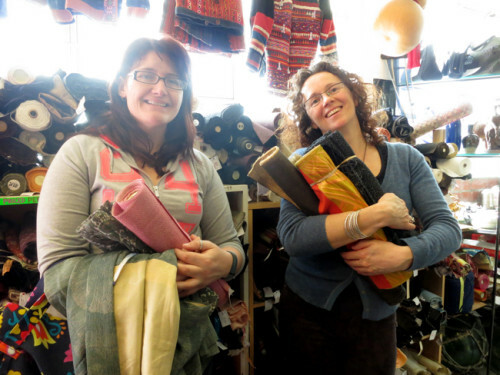 that you have all these beautiful stores and resources so close to you. What a beautiful idea for an outing. And I’ve thought of doing a sewing scrapbook a la Barbara Johnson myself – in almost the exact format you describe! Thanks for reminding me about it, I think I should resurrect that idea – would you mind a sort-of copy-cat? 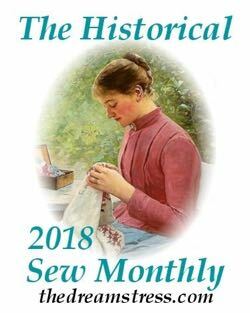 Previous PostHistorical Sew Fortnightly 2014?